The working title for this episode was “Silence is Golden, Absolution is Silver.” While being a nice chance to reference Silver’s theme from Sonic 06, Dreams of an Absolution, I felt that the pun barely worked, and when the thought crossed my mind to call it “Silver Lining,” I decided that was also a much more general idea that could better encompass the parts of the episode that weren’t about Silver. It was also more in line with the previous episode’s title, a simple two-word pun. Now, the decision to include Silver in this arc was a pretty easy one. One of my major points in making this arc was to show that a good story for a Sonic game can be made using multiple characters, but not Shadow. For whatever reason, the Sonic series decided to drop multiple playable characters and Shadow at the same time, which I have always felt was only because they thought they were overusing Shadow, but couldn’t come up with an excuse to use multiple characters without Shadow being one of them. Whether or not they were overusing Shadow is debatable, but they were using him more than they had originally planned, and I am afraid of overusing Shadow in this series as well. Anyways, first I decided to use multiple “playable” characters without Shadow, then I decided to make this the introduction to the “Controller” concept, then I decided to make a time-travel story. All of those signs pointed me to Silver. I’ve always thought it was a shame that Silver’s participation in mainstream Sonic games began and ended in Sonic 06 (I’d like to mention now that the Sonic Rivals series is non-canon to this story. Too many contradictions, not enough relevance to console games). Silver had such good potential as a character, but his writing wasn’t great, and his overall association with Sonic 06 hasn’t helped his case. I decided that this was a great opportunity to further explore his character, especially in the complete absence of Blaze. The time reset was a necessity, based on the fact that Iblis, the single half-being which shaped Silver’s future into what it was once recognized as, no longer exists based on the ending of Sonic 06. I could have created another apocalypse scenario for him, but I thought that the utopic future would help with how I wanted to portray his character, in addition to not seeming so homologous to Zero’s story (plus it also falls better in line with a random comment made by Silver in Sonic Colors DS, but that’s also non-canon). Lastly, as to why I included parts to this episode not about Silver, despite the title, that has to do with the fact that this story arc is intended to be structured like a game, rather than a story. I have three concurrent “playable” character stories running, and were I to have continued following Silver, he would have reached that point in the game where you play through a bunch of levels in a row with little or no cutscenes, making for a very boring period of story, where you watch Silver do a bunch of platforming with pretty much no dialogue. The same does NOT go for Zero in the previous episode. That was more just because the point where we stopped following Zero in favor of Silver was the perfect transition point. Otherwise, that episode would have ended the same way that this one did, and then randomly jumped to Silver this episode. The structure simply didn’t work out, so I named the episodes based on the majority of the focus, instead of the entire focus. And I guess that’s all I have for now. – Until next time, remember to live and learn every day! 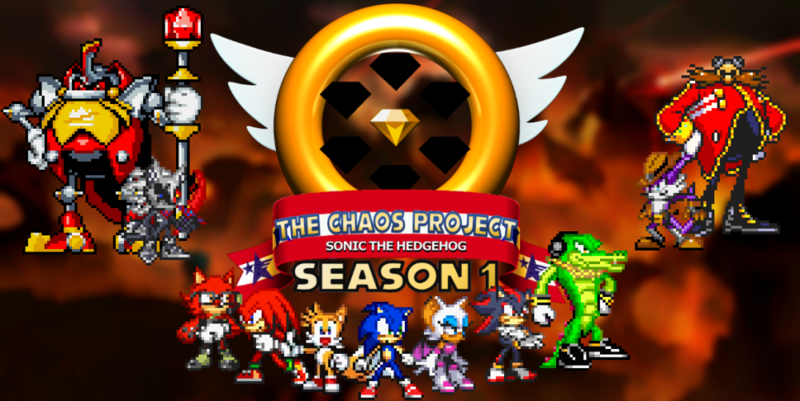 This entry was posted in Episode Review and tagged Blaze the Cat, Iblis, Shadow the Hedgehog, Silver the Hedgehog, Sonic Colors, Sonic Rivals Series, Sonic the Hedgehog (2006), Speed of Time Arc, The Controller, Zero the Hedgehog by Chaos Project. Bookmark the permalink.